Rollins' home in Winter Park, Florida, will place you at an exciting crossroads of culture, commerce, professional opportunity, and fun. The campus is less than 50 miles from the Atlantic Ocean and only 70 miles from the Gulf of Mexico. 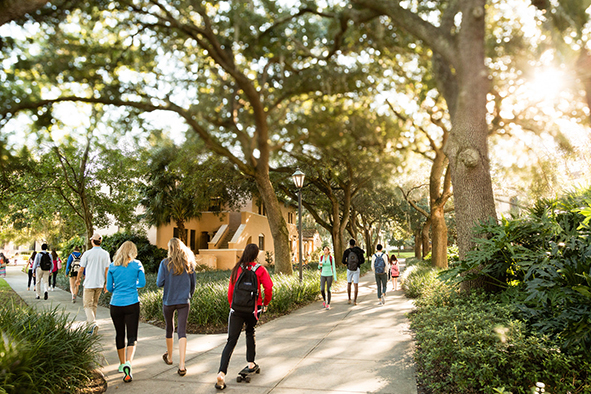 An afternoon’s walk along Park Avenue—just steps away from campus—will expose you to a few of the exciting cultural and recreational outlets you will enjoy as a member of the Rollins community.